Hexagon Ragasco is a renowned company within the LPG business – so who are people behind its success? 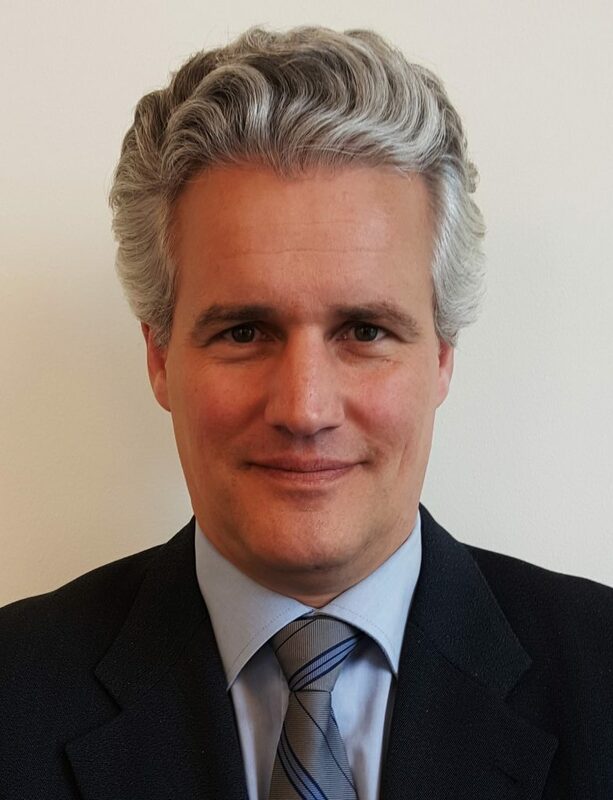 LPG Business Review wanted to showcase this innovative company and its marketing know-how to discuss with Frédéric Gaussen,VP Sales & Marketing on his journey at the leading manufacturer of composite cylinders worldwide and his role in contributing to the success of the company. The interview also seeks to highlight Hexagon’s innovative role within the LPG industry, its support of this industry, reasons for its success and leadership in the market, its special relationship with its customers and the regions it serves. 1. What brought you to the LPG business and specifically to Hexagon Ragasco? Where did you begin your professional journey? How important is the marketing discipline to the strategy of Hexagon Ragasco? I was lucky to join Hexagon Ragasco around six years ago and have not regretted it ever since. Before that I had been working in the cement and later the solar industries, both experiences in global sales and marketing roles. When it comes to Marketing, Hexagon Ragasco has over the years focused on building a unique brand and refining our key messages. And I believe and hope it shows. We have a clear profile that we communicate through exhibitions, social media and our publications. 2. Tell us about the role you and your colleagues have played in ensuring the success of Hexagon and securing the company’s number one position in the composite cylinder market? We have a great Sales & Marketing team with deep knowledge of the LPG industry. We understand and accept the fact that change doesn’t happen overnight. We also have strong focus on both composite technologies (other BU of the Hexagon Composites group offer cylinders for CNG and H2 with operating pressure of several hundred bars) and highly automated production & QA systems. This enables us to consistently provide reliable and durable cylinders. The combination of our customer focus, technical capabilities and unique track record has helped us gain new commercial opportunities and we are thankful for the trust our customers and end-users have in us after 18 years in the business. 3. We know that success is not easy. Which challenges did Hexagon Ragasco have to overcome in order to be one of the leading global players? Steel cylinders have been around for many years and are significantly cheaper than ours. Many LPG Marketers are therefore initially and understandably reluctant to change. But once they find out that their customers, the end users of the cylinders, would rather not go back to steel cylinders once they have tried ours, the interest in our offer increases. And the filling plant operators, truck drivers, and others participating in the logistics and handling of cylinders, are also, as you can imagine, usually quite happy to handle our cylinders as they are both significantly lighter and less noisy. If you add to that the reduction of maintenance costs some of our customers have experienced, you are starting to have quite a compelling business case. Communicating the benefits of our products, both for businesses and for end-users has been crucial for us. And now that we have built an unparalleled track record and have solid reference customers on all continents, the uphill struggle becomes easier. But far from becoming complacent, we keep investing in improving both our cylinders and our production & QA capabilities, as well as in Business Development. 4. Safety is the cornerstone of our business. Which initiatives have Hexagon Ragasco implemented to keep this issue at the forefront of all communications? Our products are all about safety. We have a unique safety record, backed by 18 years of experience and over 14 million cylinders sold worldwide in over 70 countries. Our cylinders are BLEVE-free (less risk of rupture and explosion in case of fire) and have a high mechanical resistance that ensures 50% higher burst pressure than its steel counterparts making them durable, even after many years of use. We also manufacture them with rust-free materials for easier visual damage detection and less deterioration. The latter is especially important in areas with high-humidity. Likewise, and as mentioned earlier, we keep investing in our highly automated production line and QA systems. This enables us to consistently provide reliable and durable cylinders. 5. Which regions worldwide are the most important to Hexagon’s strategy and which regions do you see as playing an important role in the future of company growth? Our core markets are located in Europe, with a growing share of our business coming from the Middle East. At the same time, we have in recent years focused increasingly on Africa, the Americas and Asia. We are now starting to have a solid customer basis in all those regions and see a large potential in those parts of the world that traditionally depend on LPG for everyday activities. 6. Describe your clients and the reason they choose Hexagon over so many other companies? Most of our customers are large LPG Marketers looking to increase their market share while offering a safe alternative to steel cylinders. By offering a customer-friendly and safer cylinder, a business can also influence customer perception and strengthen their brand. North America: Sean Ellen (Manager Director), Tarun Kundhi (Sales Manager). 8. How do LPG Summit’s events in regions help the company secure and maintain its position? During the LPG Summit’s events we can meet with and renew acquaintances with the movers and shakers of the industry and be informed of the new trends and happenings in the local markets. We appreciate the opportunity to introduce our products to new audiences and specially to strengthen local partnerships. 9. How do you think the LPG industry can further develop and grow? Is it progressing in the right direction? What more can we do as an industry? The LPG industry has a positive growth outlook. This is due in part to LPG’s unique qualities: abundantly available around the globe, reliable for a wide range of applications and convenient with easy storage and transportation. LPG is essential to everyday activities for a large share of the world’s population, and it can progressively replace biomass, kerosene and coal. We have the responsibility to continue spreading the word on the benefits of LPG and to continue positioning it as one of the most important fuels that will be part of the energy mix in the future, in combination with renewable energy. 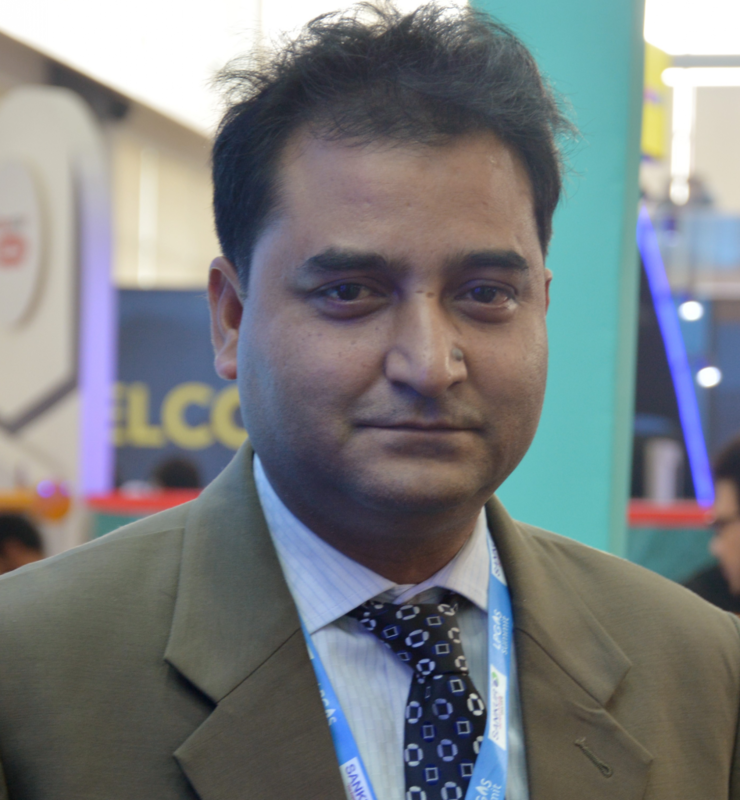 Interview with Alok Kumar Pandit, AGM – Sales & Makerting, BM Energy (BD) Ltd.
1. Tell us about BM Energy’s presence in Bangladesh and its plans for the future. BM Energy (BD) Limited is a joint venture between the Netherlands & Bangladesh to engage in Liquefied Petroleum Gas (LPG) import, storage, bottling, marketing and distribution in Bangladesh under the brand name BM LP GAS. We have one of the country’s largest LPG import terminals in Sitakunda, Chittagong with 6500 MT storage capacity. An automated and state-of-the-art bottling system is installed in the plant which enables 1200 cylinders per hour production capacity. A satellite LPG filling plant which is the country’s first semi buried (mounded tank) with 200MT storage capacity in Gazipur, Dhaka. The second largest LPG import terminal with 3000 MT storage capacity in Chalna, Khulna is now ready to operate allowing us to extend our production capacity up to 3600 cylinders per hour. In Kaligonj, Gazipur on the shore of the river Shitalakhya, we are going to establish another Mother Plant (whereas daughter plants are the satellite plants) with a 2000MT storage capacity. In Bogra, we are also establishing another Satellite Plant with a 200MT storage capacity. Also, we have a cylinder manufacturing plant with production capacity of 220 cylinders per hour is in operation in Boalkhali, Chittagong. Currently we have four different Products: SKU – 12KG, 20KG 33KG and 45KG cylinders. Each size has 2 different colours to identify the two different sizes of cylinder valves which are 22mm and 20mm respectively. Every manufactured cylinder follows international DOT 4BA 240 standard and is marketed with a branded safety cap and security seal. We ensure that a leak test has been carried out, tare weight check system & safety seal are completed for every cylinder to ensure safety & proper weight. We have nationwide distribution coverage with 350+ distributors and 12000+ dealers/retailers and these channels are only widening with each passing day. To maintain smooth distribution in North and South Bengal areas we have established three regional distribution centres in Khulna, Bogra and Barisal. We are also expanding our autogas business with a target of establishing 400 autogas filling stations across Bangladesh. Already 100+ filling station partners have agreements with us to operate autogas filling stations. Some 30+ BM autogas stations are currently in operation. We are also providing bulk LPG supply to our industrial and commercial clients. 2. What is the current LPG storage capacity in Dhaka and is it sufficient for the demand? Currently we have a satellite plant in Dhaka which has a semi-buried mounded storage and bottling plant with 200MT storage capacity. Everyday distributors from different districts of Dhaka division bring refill cylinders to our plant. However, demand is higher than our current capacity. In order to meet the current demand, we have started our third Mother Plant construction works in Kaliganj, Gazipur. This plant will be of 2000MT storage capacity so that we can provide at our maximum capacity to meet demands. 3. What do you think can be done to increase LPG growth in Bangladesh? The Government should also encourage banks to provide long-term loans with special interest rates for increasing investment for plant and infrastructure development in the LPG sector. Licensing and documentation by the Government authority like the Explosives Department and BERC should be more transparent so that LPG companies that comply with the policy get licenses and documentation from the authority within the shortest possible time. Encourage construction sector to use an LPG reticulated system or bulk LPG storage system for cooking facilities in new apartments and condominiums as the natural gas grid connection is limited. Some of the industries that operate steam boilers are using LPG but we should encourage all to use LPG as an alternative source where gas connection is down or limited. CNG stations should also consider establishing LPG Autogas facilities in their premises to cater for LPG driven vehicles since CNG is available only within a limited timeframe. In the case of Autogas, filling stations can provide LPG anytime. We should also encourage car-owners such as private cars, micro-vehicles and others to convert to LPG since the conversion cost is much more affordable and LPG is available anytime of the day unlike CNG which is only available within a limited timeframe. 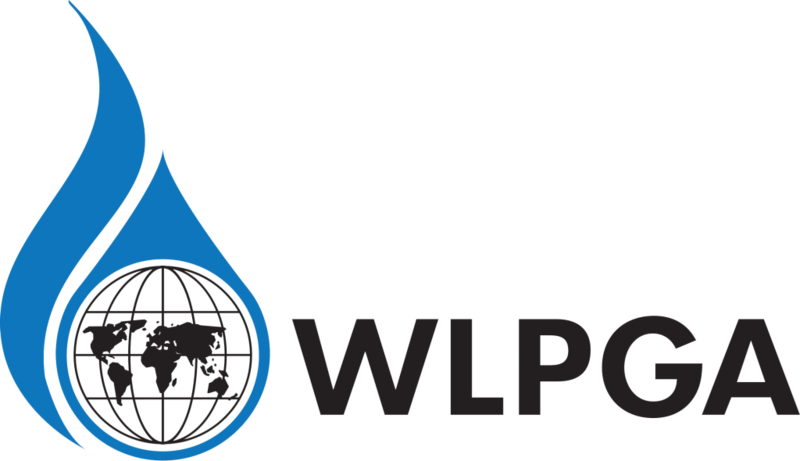 The 31st World LPG Forum will be held from 2nd – 4th October 2018 in Houston, USA. The World LPG Forum is THE annual global event for the LPG industry and is the place to know and learn the latest updates and initiatives within the LPG business. This unique event travels the globe annually attracting key international agencies, policy makers, media and the highest level of industry leaders to explore the LPG business, discuss its growth potential and to forge new business relationships. LPG Summit Director, Neasa Hapiak will be attending so do get in touch with us if you would like to meet her at the event. The Petroleum Institute of East Africa together with the WLPGA will be organizing the PIEA-WLPGA Africa LPG Summit & Training Workshop 2019 at the Intercontinental Hotel in Nairobi, Kenya from 25th – 26th April 2019. The workshop will be on regulatory changes driving LPG growth in East African countries. LPG Summit is partnering with this event but will not be organising it. We will have an LPG Summit specific event in the region in Tanzania from 3-4 July 2019 which will also be partnered by PIEA. The one-and-a-half-day training workshop that follows the half-day Summit will be more interactive and is designed for those with a hands-on approach to the business. It is designed for senior LPG managers, marketers, operations, administrative and technical staff and will include informative interactive case studies focusing on some of the typical challenges facing today’s LPG business. Find out how you can take be a part of the summit or take part in the workshop here.